I was met on my monday morning walk to the studio by a scattering of these along a road. It took me a while to clock what they actually were, then i decided to go back and get one. They were beer mats discarded in protest i would assume! Beer mats!! 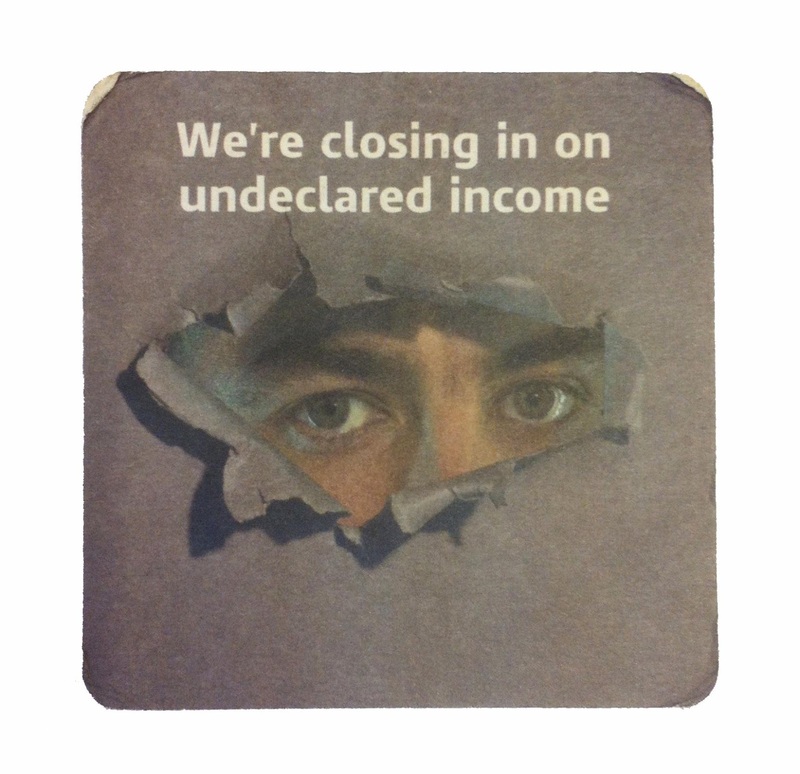 Having a quiet pint in your local (if you have any left) and you're pestered, harassed even, by the government wanting your pittance. They already take a third of the cost of a pint in tax. They're really bugging me with how far they're stooping to wring money out of the bottom of society. I think we've all long ago realised they just need to 'man up" and actually get tax from the big boys like Amazon and Starbucks etc. Raising the minimum wage would help too! They should be helping those at the bottom not screwing them. (As I mentioned earlier on facebook, maybe they should paste this message on magnums of Dom Perignon instead). Anyway, rant over. 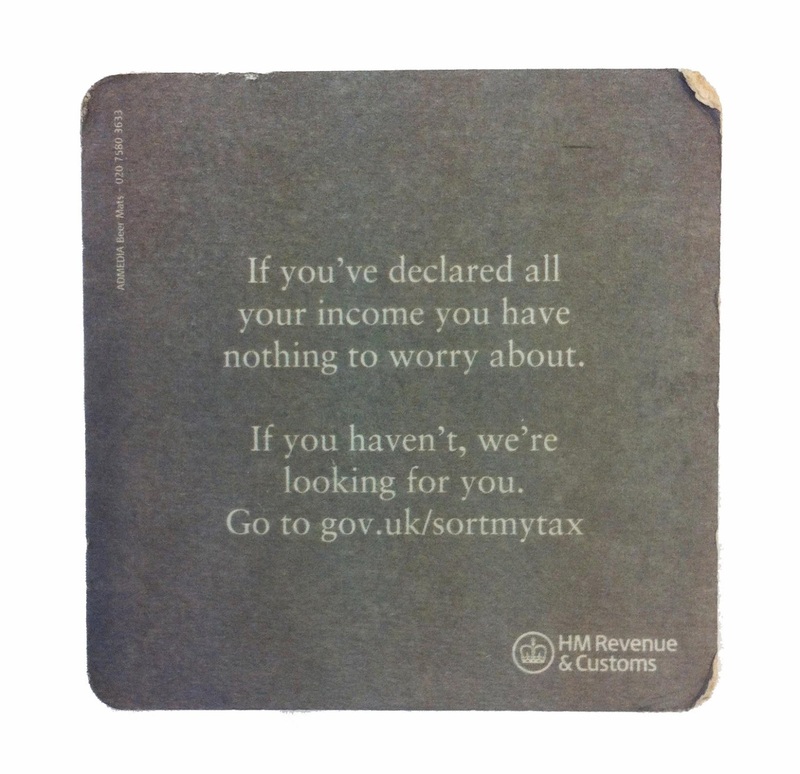 Please don't put intimidating government messages on beer mats, it's not nice. They really don't like us do they.